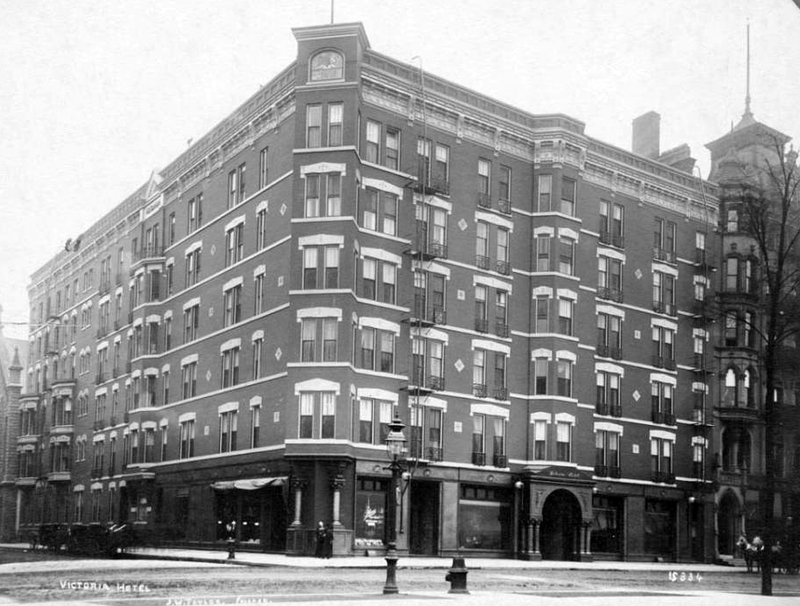 January 5, 1884 – The Beaurivage, “one of the largest and handsomest apartment buildings in Chicago,” [Chicago Daily Tribune, January 6, 1884], standing on the northwest corner of Michigan Avenue and Van Buren Street, is heavily damaged in a three-alarm fire that starts in the building’s basement and climbs rapidly through the elevator shaft to the roof. 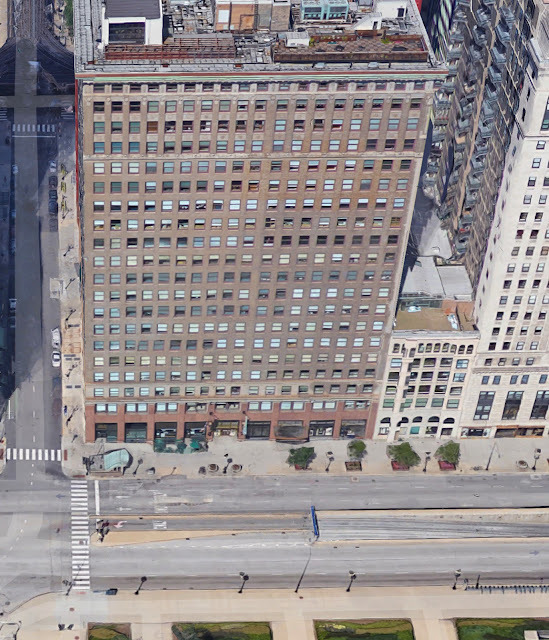 The Beaurivage, a six-story brick building, was divided into two wings, separated by a court, holding 15 apartment suites. The fire breaks out around 4:00 a.m. as “women screamed, the children cried, and the men yelled themselves hoarse, almost drowning the crackling of the flames gathering about them.” Residents routed by the fire found shelter in the Leland Hotel just north of the Beaurivage. The top photo shows the Beaurivage in 1880. The photo below that shows the corner of Michigan Avenue and Van Buren Street as it appears today. January 5, 1954 – Bad news comes today for motorists north of Chicago. 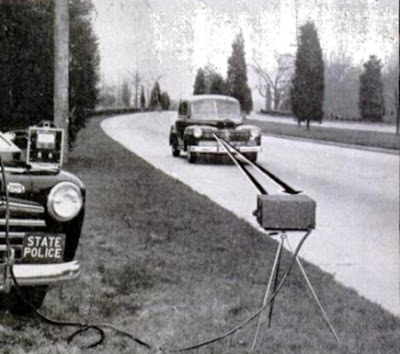 After watching a demonstration of radar designed to track speeding motorists in Springfield, state officials announce that the device will be placed into operation on the new Edens expressway, completed three years earlier, a modern roadway plagued with a number of accidents for which the contributing factor is speed. The device has been tested for six months in Moline and has been successful in convicting motorists who defy the speed limit, justifying its $700 cost. Things will never be the same again. 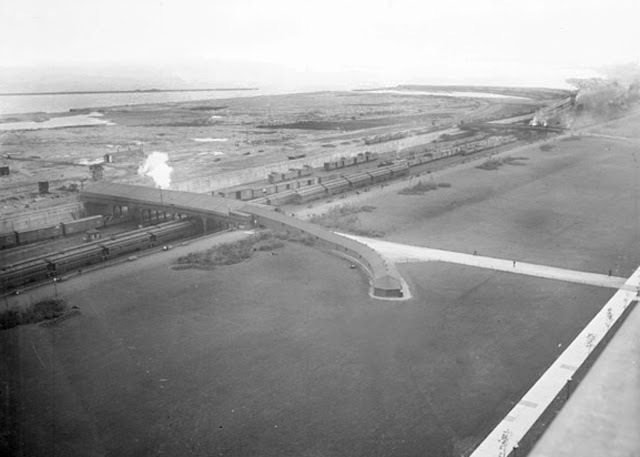 January 5, 1910 -- Basing its action on an Illinois legislative act of 1903 that gave park boards the right to condemn easements as a matter of public necessity, the South Park Board decides to file a petition to condemn the easement of A. Montgomery Ward and permit the erection of the $8,000,000 Field Museum at the foot of Congress Street along with the Crear Library. This would be the last battle in the long fight between Ward and the city. Grant Park would survive unsullied; Ward would be dead less than three years later. The photo below shows the land over which the battle was being waged at the time.